Indian Premier League (IPL) 2019 is currently going on and is the talk of the nation. One of the teams with great fan following and craze is the SunRisers Hyderabad. 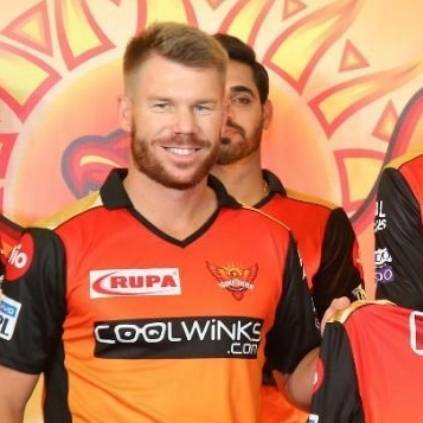 Recently, they released a video in which they asked their team players Kane Williamson, David Warner about an alternate acting career. David Warner had enthusiastically replied his acting career goal would be Baahubali. Baahubali team has replied to this stating they have heard him and also asked him which side would he be in either Bhalla or Baahu. And funnily requested him to be ready for Baahubali 3 shoot. The fun doesn’t stop there. SunRisers Hyderabad even designed and tweeted a picture where a hand is seen holding a helmet which was similar to the Baahubali poster in which a hand held a baby. This twitter thread was very interesting and has now got attention from fans all over. This also stands as an example to show how far has the name of Baahubali reached. People looking for online information on Baahubali, Baahubali 2, David Warner, IPL2019, S S Rajamouli, Sunrisers Hyderabad will find this news story useful.